"...didn’t take in any of the Triple Crown races and consequently comes here a relatively fresh horse..."
The highlight of Monmouth Park's summer meeting, the Betfair.com Haskell Invitational, takes place on Sunday (22:45 BST), and has drawn a field of seven three-year-olds. With the headlines this week going to Triple Crown hero Justify following the announcement of his retirement due to injury, the strength of his form is represented by Good Magic, Bravazo and Lone Sailor, who each took in at least two of the Triple Crown races. Good Magic is the one who sets the standard, courtesy of his Breeders' Cup Juvenile win and his runner-up effort to Justify in the Kentucky Derby. Beaten just a length into fourth in the Preakness after that (Bravazo ahead in second), Good Magic has been given a little break since then, and is rightly favourite on the overall balance of his form. Chad Brown's charge looks certain to give a good account, but represents no value at around even money. The aforementioned Bravazo got to within half a length of Justify in the Preakness, a race that was run in thick fog on a very sloppy track. Justify was some way below his best in that contest, so Bravazo may well have been flattered to get as close as he did. He looked a non-stayer in the following month's Belmont Stakes and ought to benefit much more from the nine-furlong distance he will encounter here. Back in fifth in the Preakness was Lone Sailor, who still only has one win to his name from eleven starts. 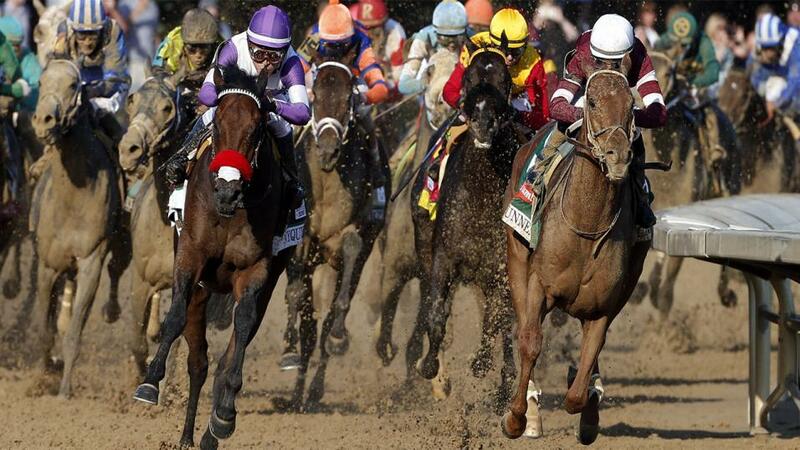 Prior to that, he had finished eighth in the Kentucky Derby, again behind Good Magic and Bravazo. Lone Sailor's most recent effort came when just touched off by a nose to another of his rivals in this contest, Core Beliefs. While there is little to separate the pair on that form, with just six starts under his belt, it may well be Core Beliefs who emerges on top once more, with the likelihood of more improvement to come. Third to Justify in the Santa Anita Derby on just his fourth start, Core Beliefs didn't take in any of the Triple Crown races and consequently comes here a relatively fresh horse. The other three are outsiders in the betting and hard to make a case for at this level, with Navy Commander possibly emerging as the best of them. A winner of his last two starts, an allowance contest and a minor stakes event, Navy Commander is at least on the up, but both Timeform form ratings and TimeformUS speed figures point to him needing to make major improvement. In summary, this a tough betting race, particularly as only seven go to post, ruling out the possibility of any each-way value. Good Magic is the most likely winner if back to his best following a short break, but it may be worth taking him on with Core Beliefs, who is still open to progression and who also avoided the rigours of the Triple Crown series. There are four Grade 3 contests on the Monmouth Park supporting card, and it may well be worth backing Dream Awhile in the third of those, the WinStar Matchmaker Stakes (21:05 BST). Trained by Chad Brown, who is having a stellar year, Dream Awhile defeated two of her rivals here, Special Event and Elysea's World, in that contest at this track over slightly shorter. She gets the services of specialist local rider Joe Bravo, and ought to come out on top once more, with the extra distance of this race likely to favour her.